A superb Beasts of the Mesozoic Linheraptor exquisitus model. 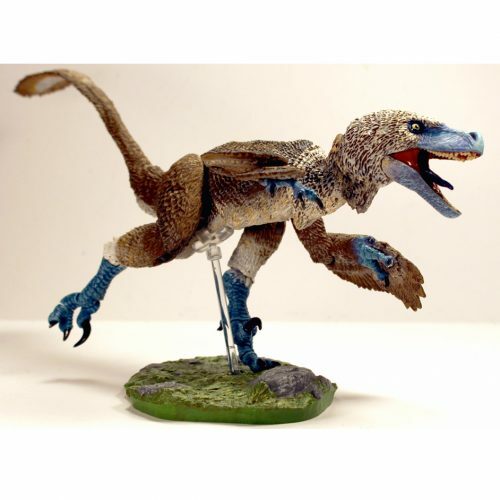 The hand-painted Beasts of the Mesozoic Linheraptor figure has 26 points of articulation and this set includes a display base, posing rod with two support options. In addition, Linheraptor exquisitus has interchangeable, closed running toes and a unique background display insert. This is amazing, I love the detail on the Linheraptor. It’s simply a gorgeous figurine and in my personal opinion, the most unique of the series of raptors. I am happy how careful “everything dinosaur” packed in the dino figurines, and how well they helped and responded fast when I asked a question. The price they are asking for it here, is better than anywhere else on the internet. 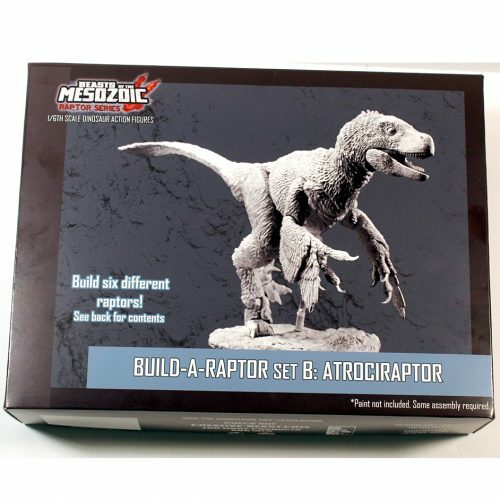 I saw this raptor is several stores and wanted to have it, but in other stores I could easily pay 50-80 for 1. Here the price is so great that i’m def gonna buy again from here!